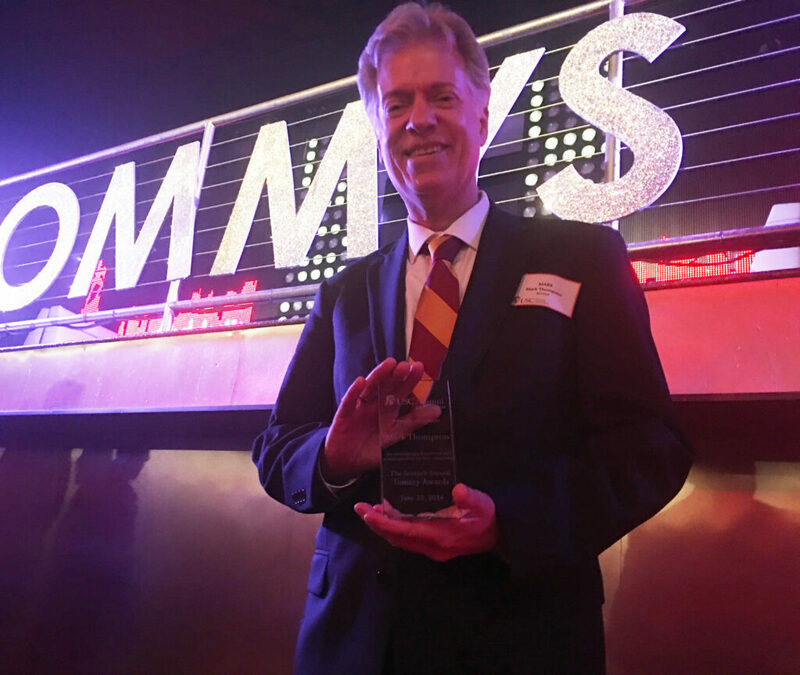 Capalino+Company proudly joined USC Alumni in honoring our colleague Executive Vice President Mark Thompson at the 7th Annual Tommy Awards on Monday, June 21. Mark’s Tommy Award is a testament to the values we see Mark exhibit daily–his deep commitment to do good in the world and give back to his community. In this case, Mark successfully harnessed his relationships in the public and private sector to build a presence and network for his alma mater, the Sol Price School for Public Policy in New York City. During his acceptance speech, Mark credited CEO Jim Capalino for instilling the values of a civic leadership in him and for continually encouraging and supporting his initiatives. To learn more about this award-winning member of our team, read Mark Thompson’s biography.